Dave Pickering is 31 years old. He lives in East London and works part time as an Early Years Library Outreach Worker. The rest of his time is devoted to various writing, podcast, music, drama and performance projects. He studied Theatre Studies and Creative Writing at Lancaster University. During that time he co-founded a theatre and radio company called The Strangely Compelling, which created performance work in the Lancashire area and the Edinburgh Festival, receiving favourable reviews. He also wrote for, performed in, and co-directed a monthly radio comedy show, The Trailing Edge, which was nominated twice for The National Student Radio Awards. 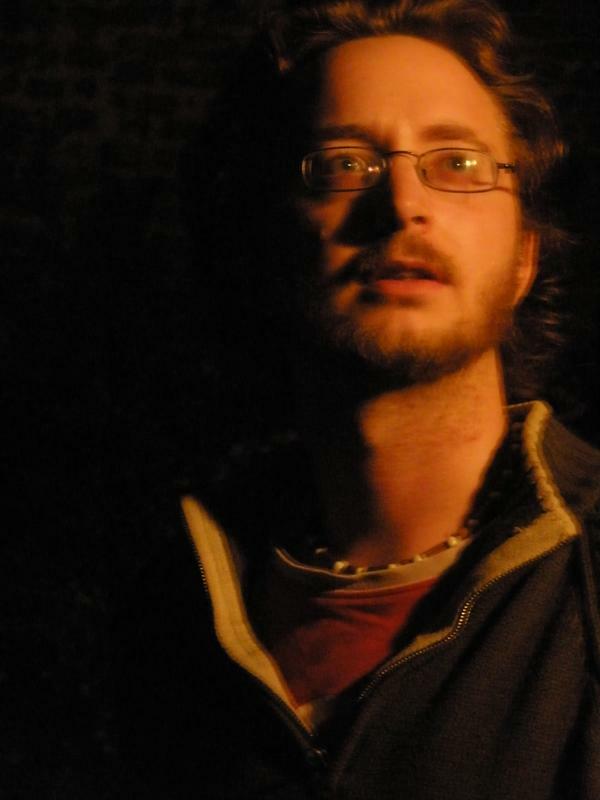 One of his stage plays was short-listed for The National Student Playwright Competition 2000. Since moving to London in 2005, Dave has been taking on new projects as if his life depended on it. Some of these projects have been developed into live performance at Fresh festivals. 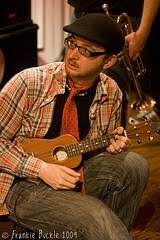 Through Fresh, Dave performed music and theatre work in a wide variety of locations across the South-West. Dave has worked full and part time as a Library Assistant in various libraries in Lancashire and London. He now works as an EYLOW, which involves running story and song sessions within the community to promote libraries, reading and books to the Under 5s and their parents. Dave creates and produces a weekly conversation/interview show called Getting Better Acquainted. Join him on his journey to get better acquainted with the people he knows. There are lots of shows about famous people. This is a show about the rest of us. 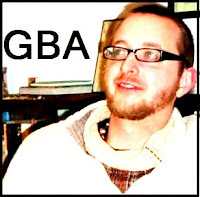 As a result of the 2011 GBA output Dave was nominated for the Best Internet Creator category of the 2012 Radio Production Awards. Subscribe to it via Itunes or RSS feed or stream it from SoundCloud or the Stitcher Smart Radio App. In December 2012 CBeebies Radio launched Ministry of Stories. The premise of the series is to convince the Chief of the Ministry (voiced by Women’s Hour presenter Jenni Murray) that children can create fantastic stories. Children from Hackney, Tower Hamlets and Islington primary schools, helped by Two, The Chief’s trusty aide, worked hard to produce and perform a wonderful new story worthy of the Chief’s stamp of approval. The series is aimed at helping listeners aged 3-6 and their parents explore the magic of storytelling, and the workshops featured in the recordings involved primary school classes attending the Ministry of Stories regular story making workshops. Dave runs the variety night Stand Up Tragedy where the aim is to make you laugh until you cry and cry until you laugh. It began in January 2012 with a 5 month run at the Leicester Square Theatre. It returned in January 2013 with 4 fundraiser shows split between the Hackney Attic and The Dogstar. These shows combined with a successful crowd-funding campaign meant the show went up to the Edinburgh Festival as part of PBH's Free Fringe in August 2013. The live shows are all recorded and are mixed with interviews and extras and put out as a weekly podcast (daily during August 2013!). Stand Up Tragedy is a night where people stand up and tell tragedy. We make you sad; we make you think; we make you smile. Expect music, comedy, fiction, spoken word, true stories and more, all playing up to the tragic form but not always taking it seriously. The night ends, not with a whimper, not with a bang, but with a cathartic sing-a-long. Past acts have included the likes of Josie Long, Robin Ince, Ben Target, Rob Auton, Grace Petrie, Tania Hershman, Nat Luurtsema, Richard Tyrone Jones and Simon Munnery. The show was profiled in the Independent in July 2012 and the first 2013 show was given a great review in January 2013 by The London Word. Dave has told stories and produced podcasts for Spark London a true story telling event held in various venues across London and released as a monthly podcast and he managed their social media for them for over a year. Subscribe to the podcast via iTunes or RSS feed, or stream the episodes on MixCloud. Spark London's podcast was voted Best of Mixcloud 2010. Dave hosts the Hackney Open Mic for Spark at Hackney Attic on the 2nd Monday of every month. Dave wrote both series of RethinkDaily's flagship podcast drama, Numbers. This programme has had a very positive response from its listeners. It also impressed production company Perfectly Normal. Episode 11 of Numbers was nominated for The Internet Programme Award at The Sony Radio Academy Awards 2009. The Trailing Edge also produced a show for Rethink’s first season. Under the banner of literature/performance project Window, Dave co-produced two series of short story programme Sharp Things, for Rethinkdaily. Before GBA Dave was part of an experimental podcast called Four Days in a Room. The resulting podcast was at times hit and miss. The highlights of the show have been gathered together here. Between 2009 and 2011 Dave made curations (selections of podcasts wrapped around a theme) for the internet start up company Said.fm. That start up has now morphed into the upcoming iPhone application: The Super Times. Dave is a talented singer-songwriter and musician. He performs solo as The Dave and is one half of alt. pop duo The Reactionaries . With Jack Gobsmob he is writing, recording and releasing a song in a day once a month for 2011 as The Plural. He was the founder member of the now disbanded epic folk punk band Apples For Everyone, that in its heyday had 15 members, and was always an interesting live experience. Apart from the projects mentioned above, Dave is also working on a number of musical collaborations with different performers which may develop into public performance and album release in the near future. Dave is currently researching and writing an epic science fiction/fantasy/horror novel trilogy aimed at the teenage market. He is also writing science fiction and horror short stories for genre magazines. His short story Elegance is published in A DemonMinds Halloween: 2010 Edition (Volume 66) He also had a story published on A Fly in Amber. He has completed two adult novels and is currently in the process of sending them to publishers. They have been well received. He has written three stage plays recently and is in the process of exploring ways to get them performed.